It’s like that with Cooking too. As Long as we are Present, Attentive, and Committed to the Process. 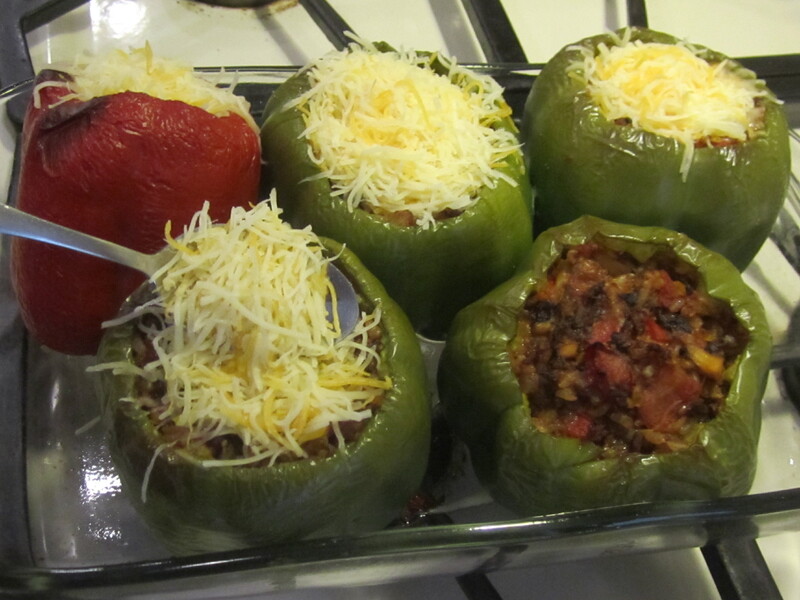 Stuffed Peppers were DAD’s Favorite. She never wrote it down. 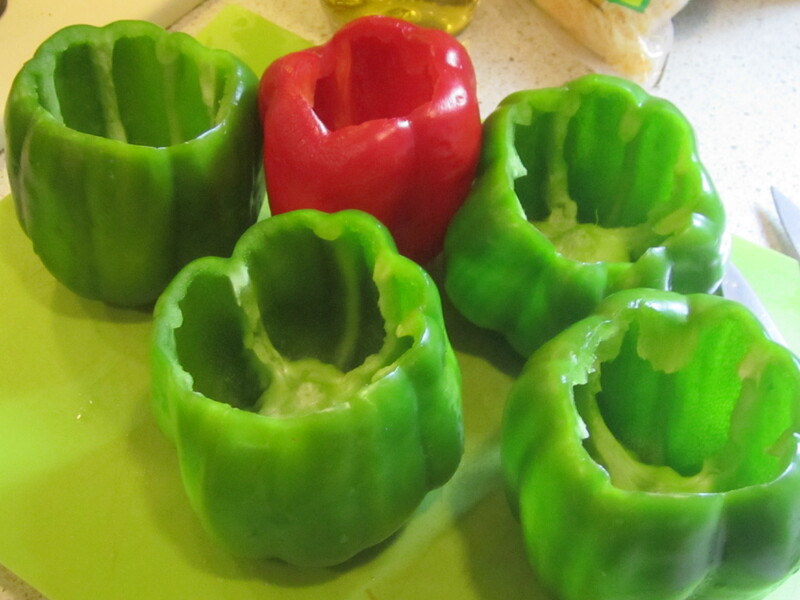 I tried making Stuffed Peppers myself. 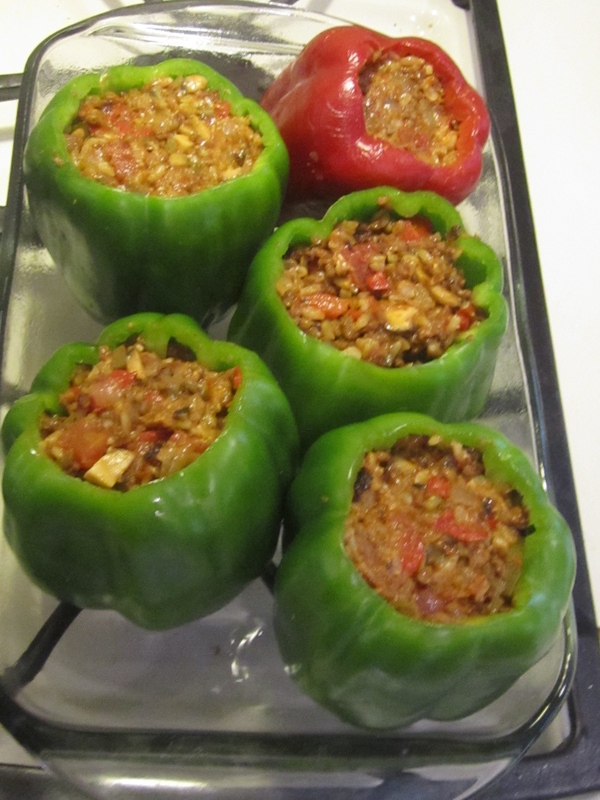 I didn’t remember that there was rice in them, so I stuffed each very large Pepper with a Lot of Chopped Meat and some seasonings. I was So Excited to bring them over. They were kind of a Disaster. Everyone was very polite about it. Then, after dinner, my 90-year old Father leaned over to me, and spoke. 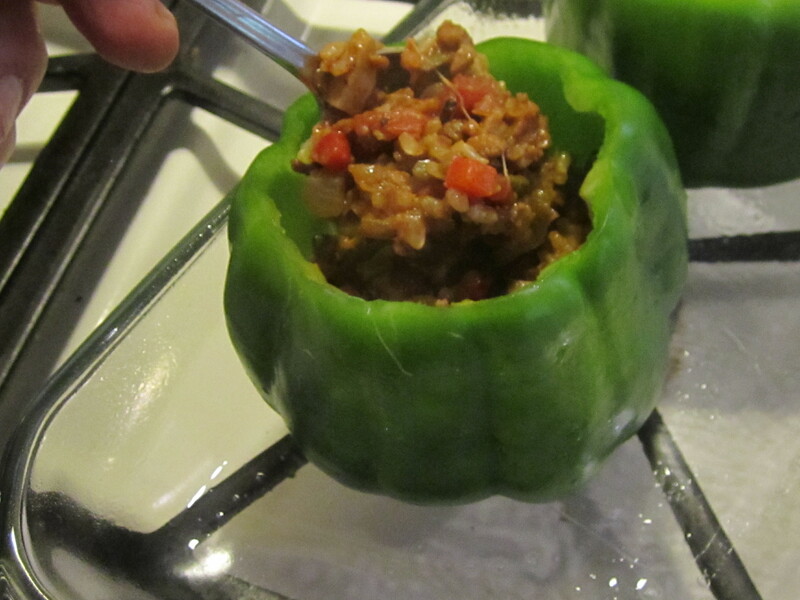 As it turns out, my Partner likes Stuffed Peppers too. 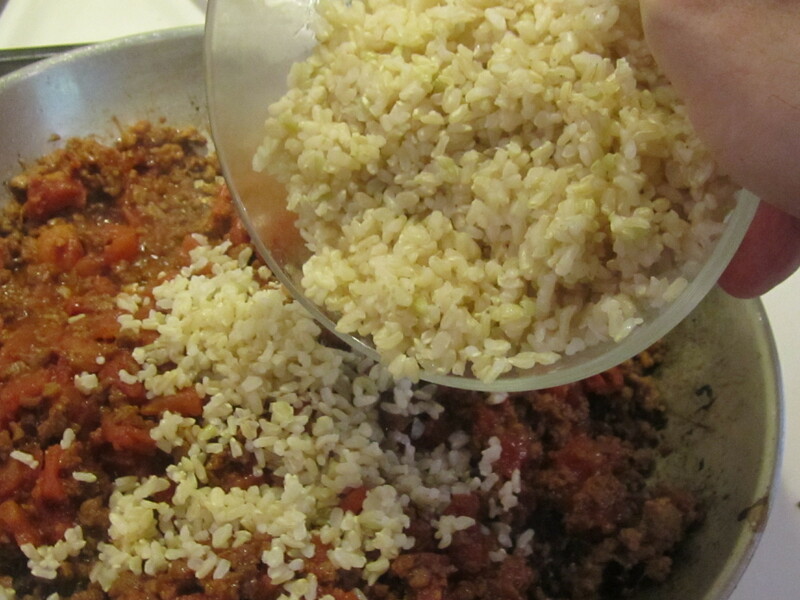 I remember my Father’s Sage Advice to me, and I always combine the “Meat” with an equal or greater proportion of Rice. The result is much tastier, fluffier, and Delicious. if I happen to have them in the Fridge. but Always a Worthwhile Discovery. 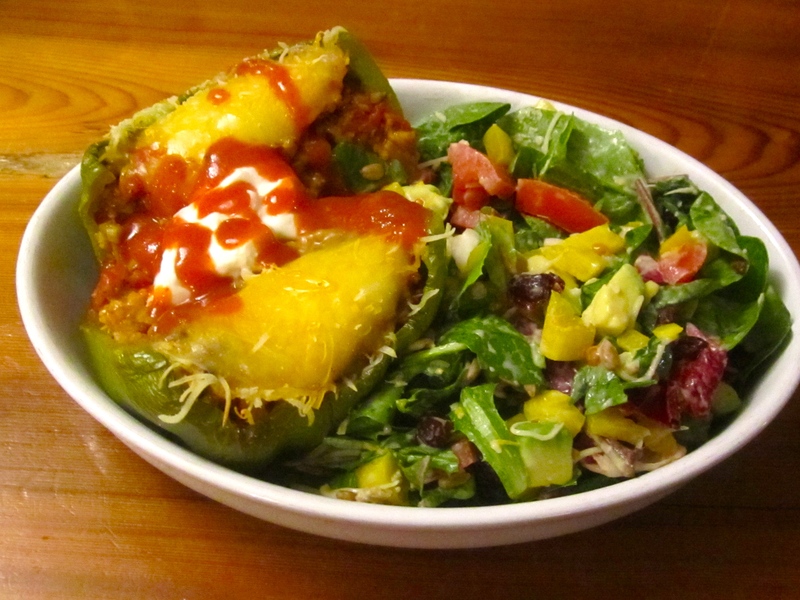 Are Stuffed Peppers a Personal Favorite? I make them because My Partner Likes them So Much. They were not a Personal Favorite of MOM’s either. She made them for DAD. 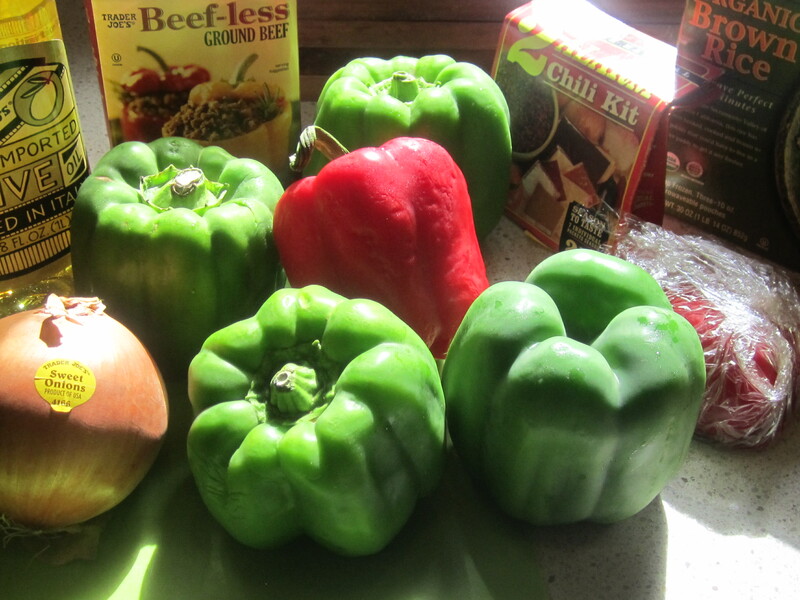 Making Stuffed Peppers is an Act of Love. That is how my Mother taught me to Cook. *Low-Fat Sour Cream; Siracha Sauce — as Toppings for Serving. *If you want to make the Carnivore’s Version, simply substitute Real Meat (a combination of Beef Pork and Veal would work Best.) for the Soy Meat. Cut the top and Lift off. 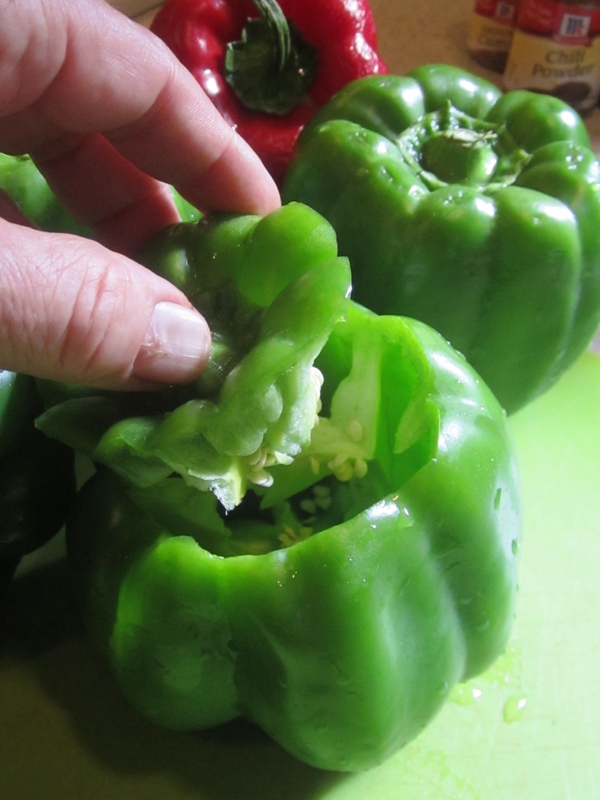 Carefully cut the top out of each of the Six Large Peppers, removing the “cap” (with the Stem), and leaving an Opening large enough to Fill Easily with a TableSpoon. Remove the Core and All the Seeds. 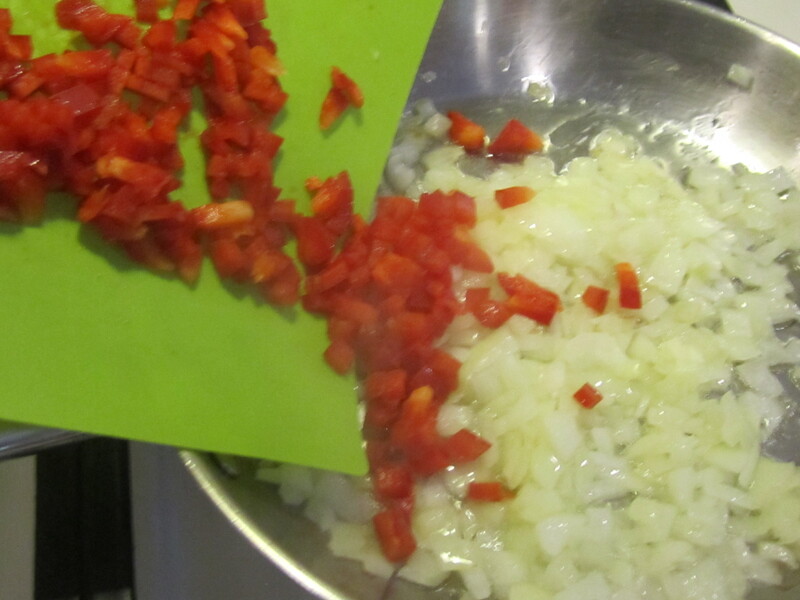 Set the Cut and Cleaned Peppers aside. Pour 3-4 TableSpoons Olive Oil into Large Frying Pan, to coat the bottom of the pan well. 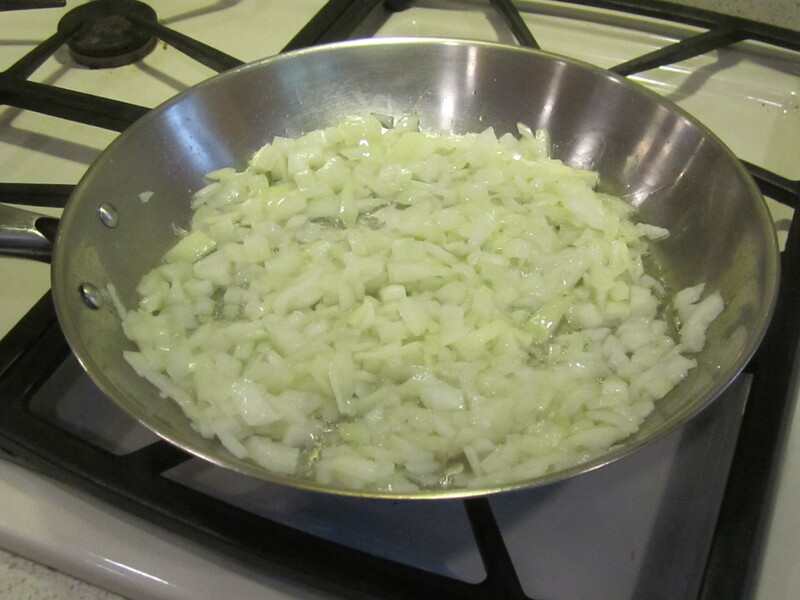 Immediately, add the Diced Vidalia Onions, and Raise the heat to Medium-High. Cook until they are wilted and soft, stirring often but not constantly. Add the one Diced Medium Fresh Pepper, and Sautee together until the Pepper is Soft and the Onion is showing signs of Just Beginning to brown in places.. 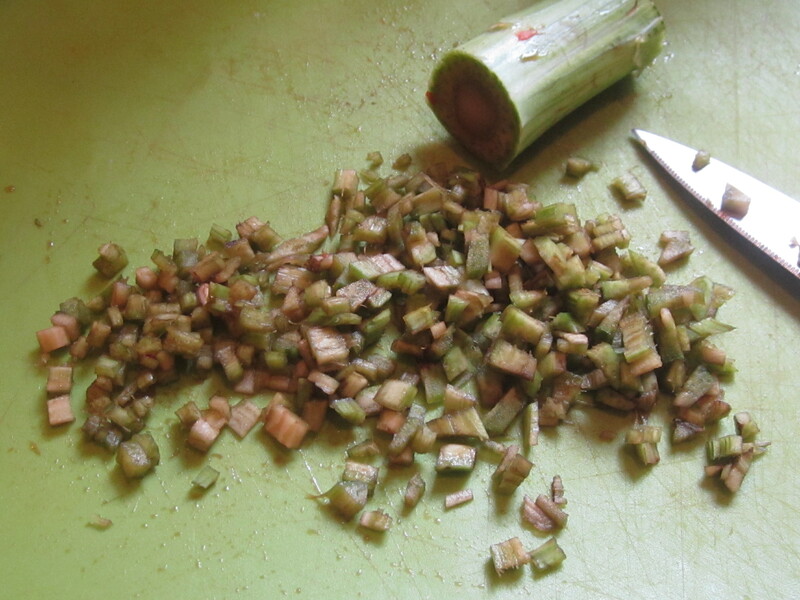 Remove and Discard Garlic Cloves. 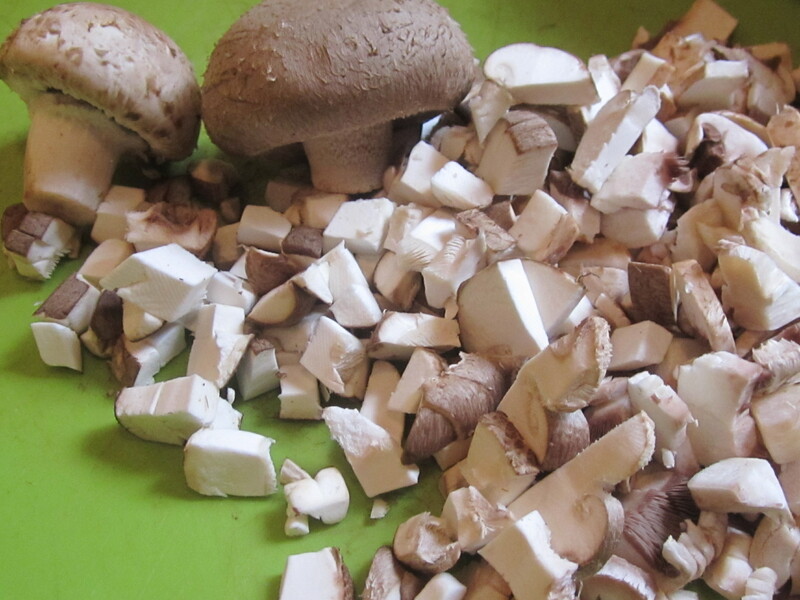 If you are adding the Cup of Diced Mushrooms and/or the Additional Cup of Diced Vegetables, proceed as follows. Otherwise, skip this step. Add to the Pan any other Diced Vegetables (1 Cup of Diced Fresh Mushrooms and/or 1 Cup of any or all of Zucchini; Yellow Squash; Broccoli, Artichoke Stems, etc.) 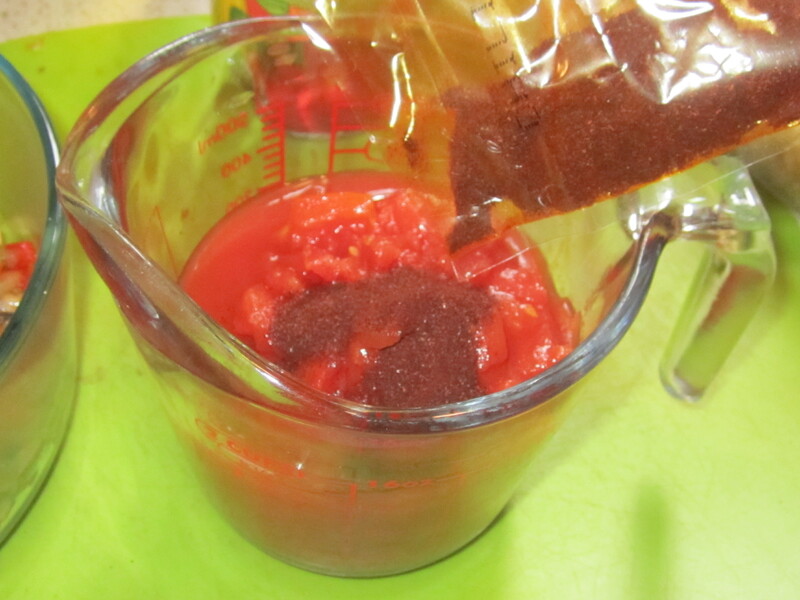 that you would like to include (1 to 2 Cups total), cooking until soft. 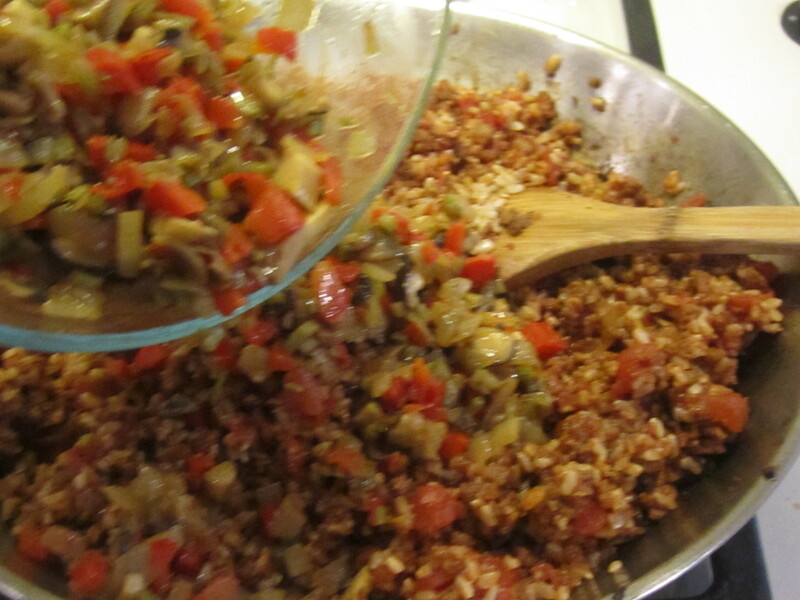 Remove Vegetable Mixture from the heat, and transfer to a Bowl. 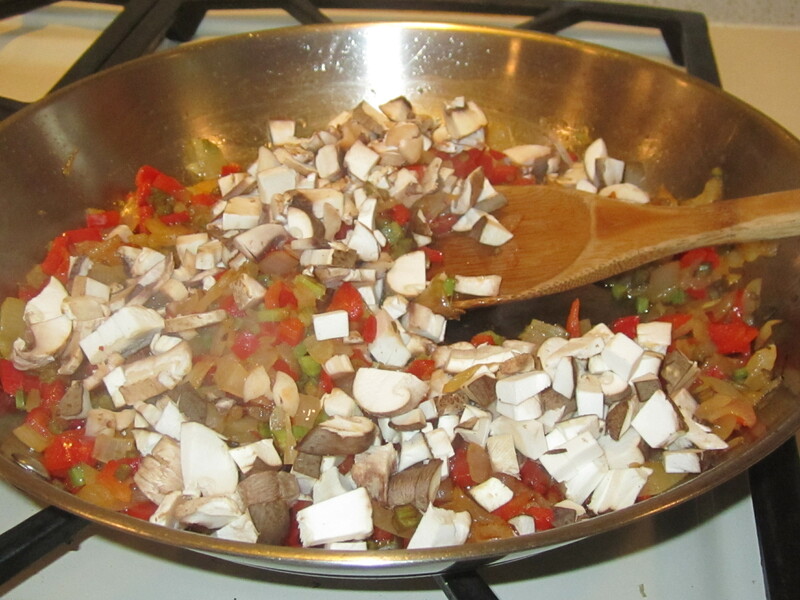 Now, continuing to work on top of the Stove, Lower the Heat and add the Last 6 TableSpoons Olive Oil. 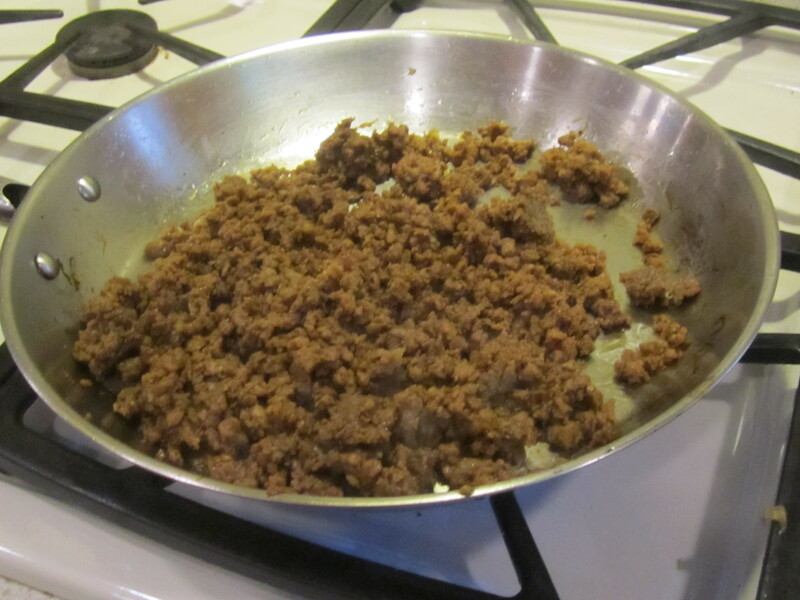 Break Apart the Soy Beef-less “Ground Beef” into the pan, and Sautee over Low Heat, just a minute or two until it starts to heat up. 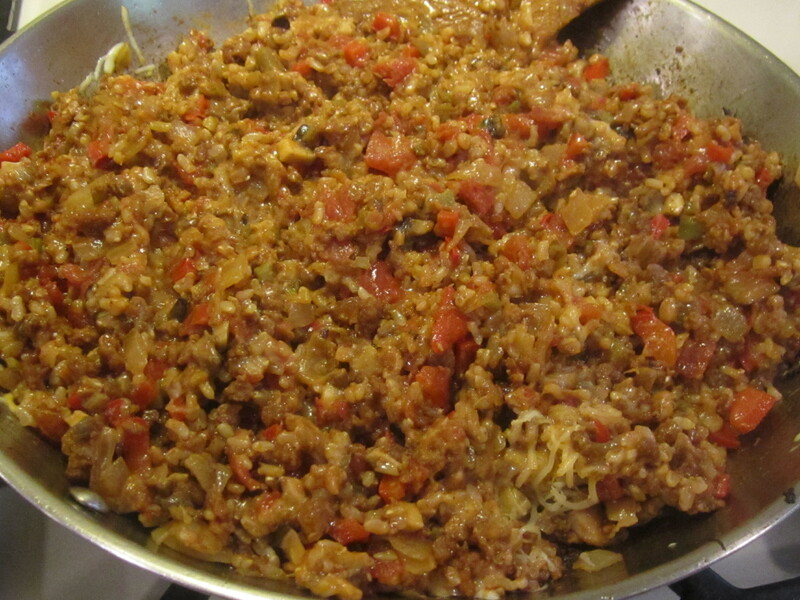 Add Spices into the Diced Tomato and Stir Well. 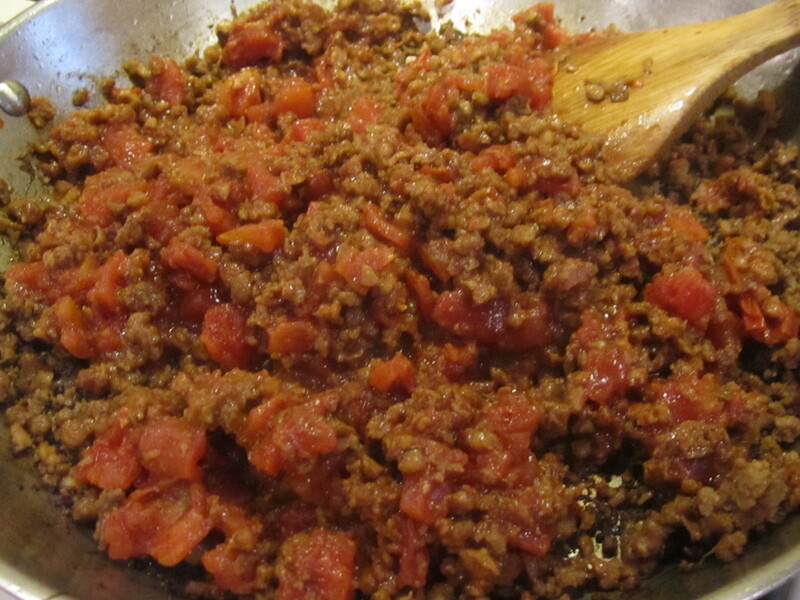 Add Spiced Tomatoes into the Beef-less “Ground Beef” and Mix together in the pan. Stir back in the Sauteed Onions & Vegetable Mixture. 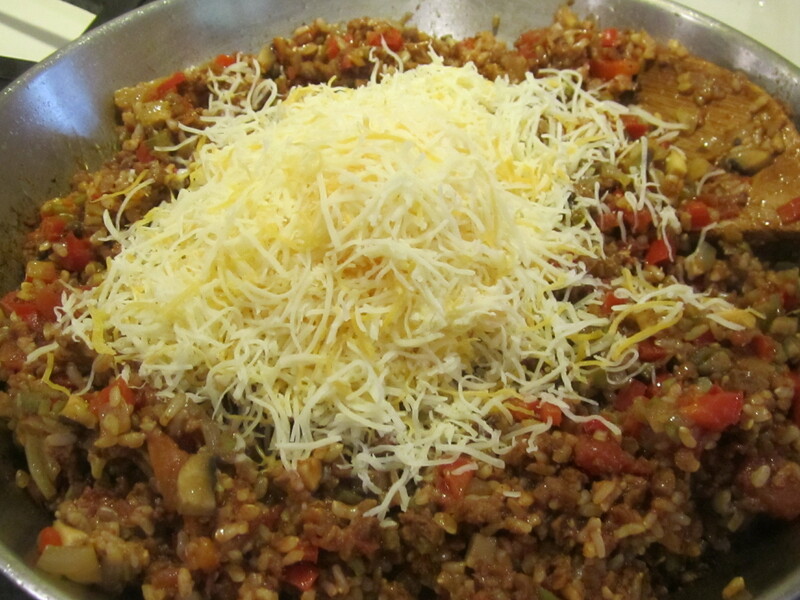 When well-mixed, add in ½ Package of Cheese, and Mix Some More. Now, Lightly Grease a Pyrex or Steel Roasting Pan, using Oil or Non-Stick Cooking Spray. 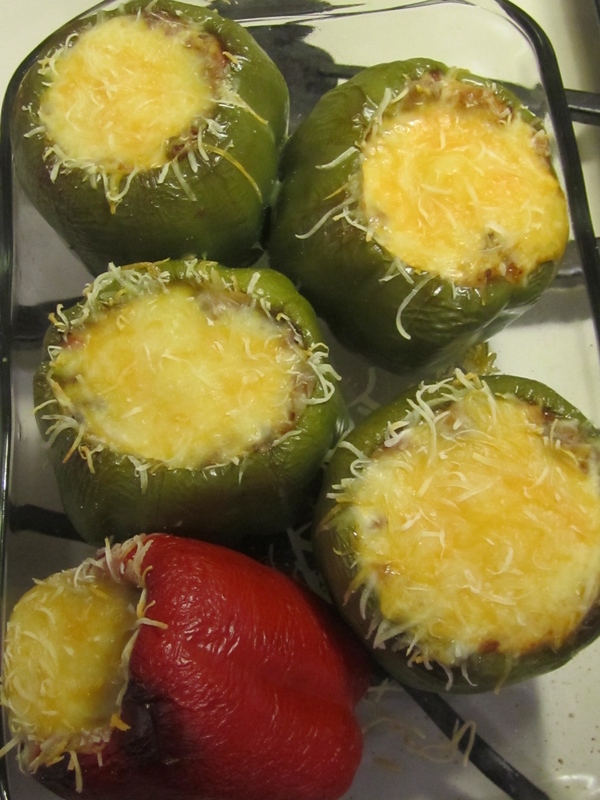 Using a TableSpoon, fill each Raw Hallowed-Out Pepper with the Cooked Mixture — approximately 5/6ths Full, leaving just a bit of room for the Cheese on Top. Stand them upright — it is ok if they are somewhat close together to help one another stand up. Bake in the PreHeated Oven for 30 – 35 minutes. Now, using Safety Mitts carefully remove the pan from the Oven. Spoon the remaining Shredded Cheese on top of each Pepper where you’ve left room. Return to Oven and Bake 10 – 15 minutes more, until Cheese is Well-Melted. To Serve, Place in a Bowl or Plate and Slice in Half from the top down. Top each half with a dollop of LowFat Sour Cream and a squiggle of Siracha Sauce. Serve with Side Salad, or with Corn Chips, or all by itself. Celebrate your Act of Love.